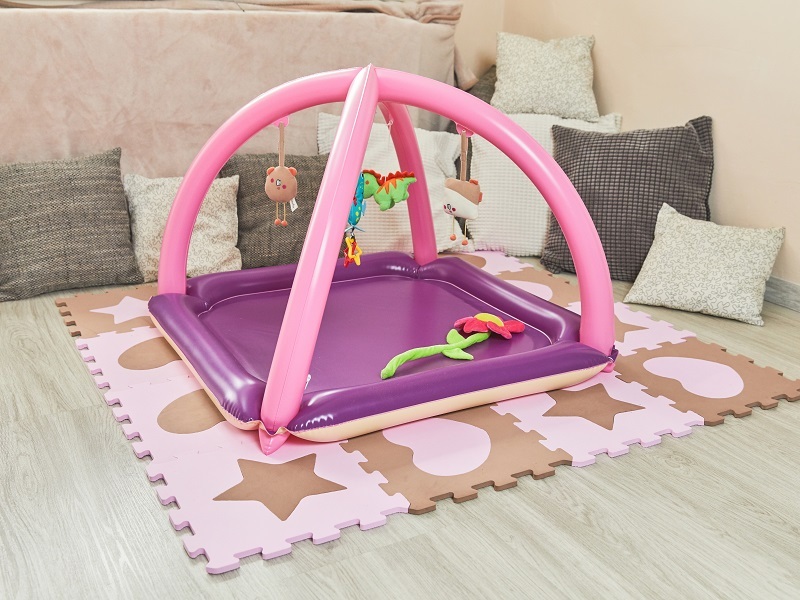 The new blow up baby gym for babies from the Fatra factory is not only a practical and safe nappy changing mat but also an entertainment corner for children of up to one year of age. 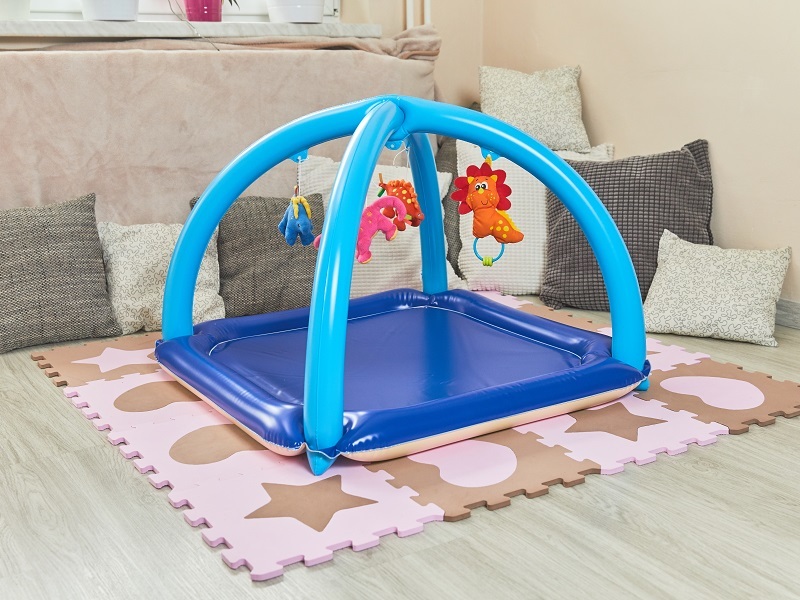 The baby gym is very storable and light and the openings in the corners of the mat can be used not only for suspension arches, which create an interactive environment, but also for storing bottles of cream, toys and other items which you need to have at hand. 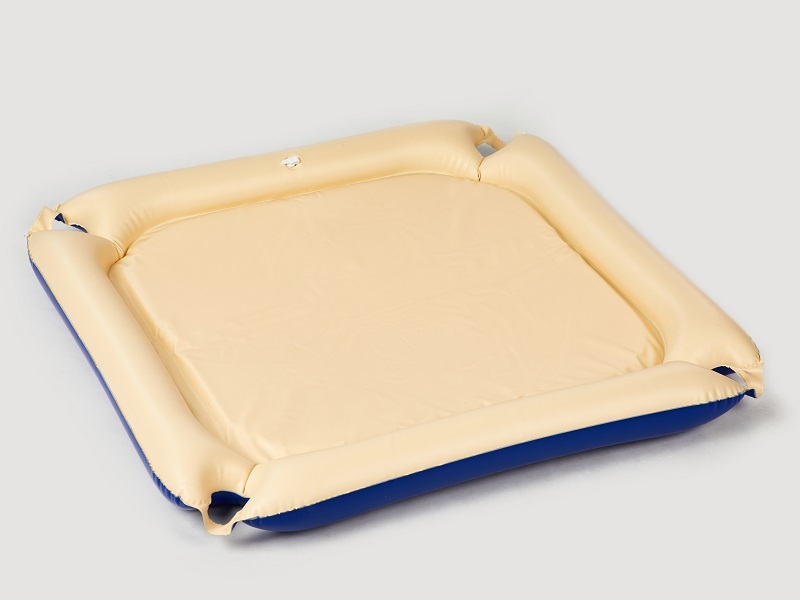 Thanks to the water resistance of the mat, changing nappies is simple. 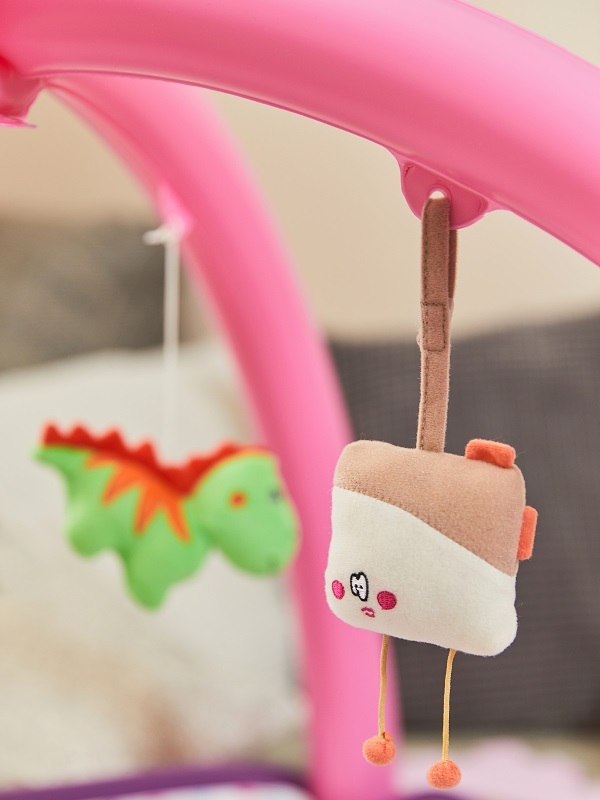 The baby gym is manufactured in two colour varieties – pink-purple-beige and blue-beige. Safety is guaranteed by a Safe Toy certificate. 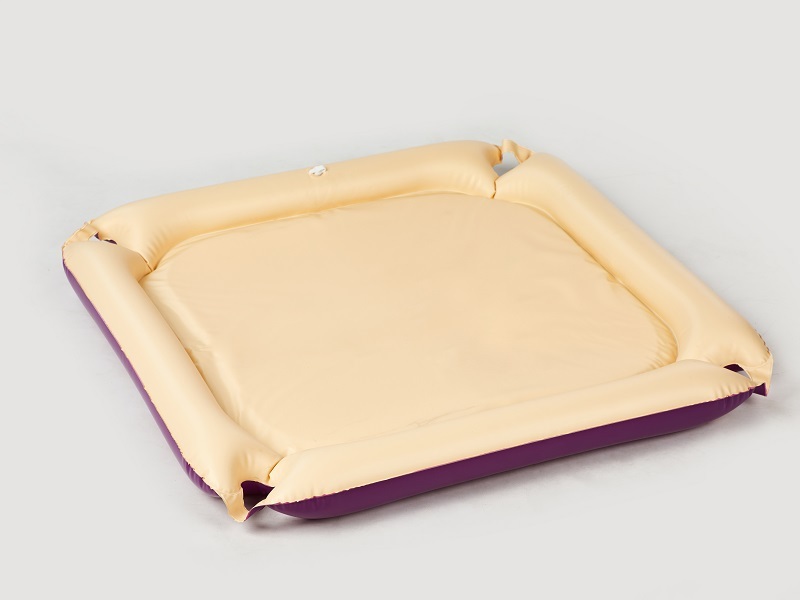 The baby gym is manufactured from PVC film. 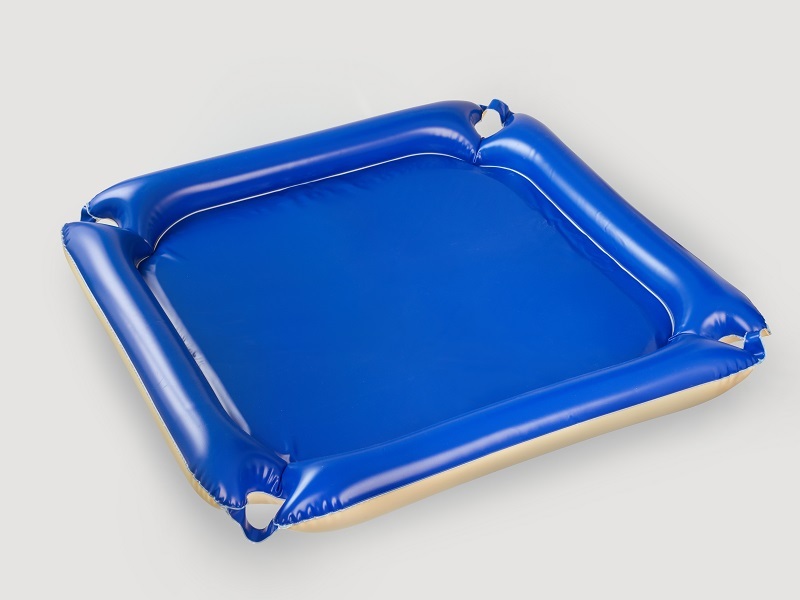 The part on which the baby lies is lined with soft foam. 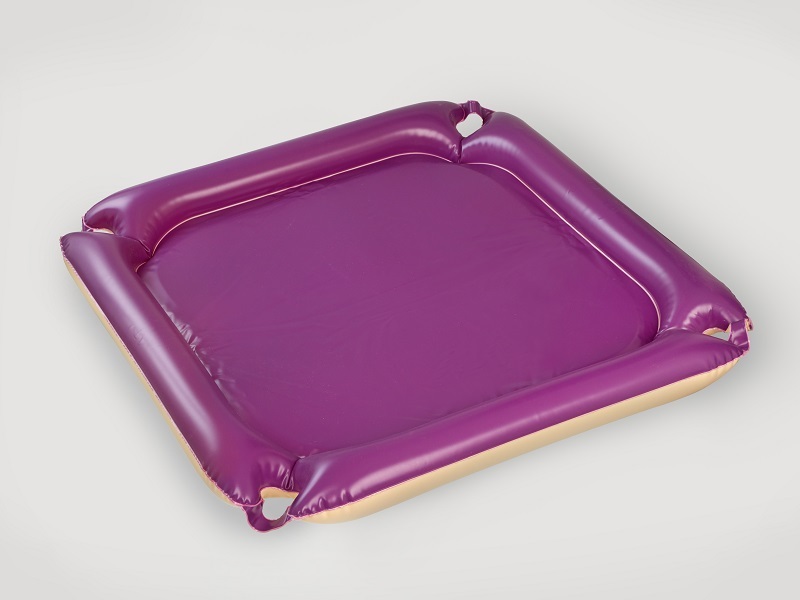 The mat has inflatable edges. 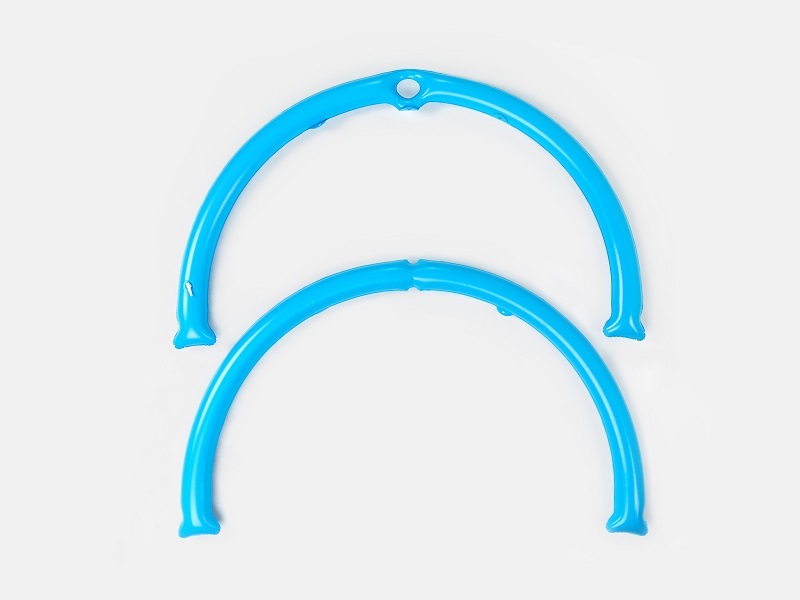 The arches are also inflatable and after being inflated and crossed they are inserted into the corners of the mat. 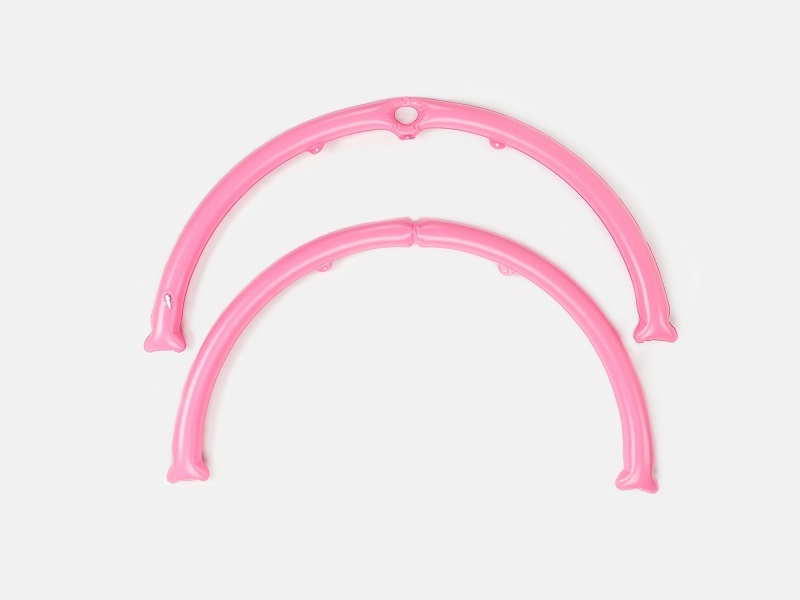 The arches have loops for hanging toys from (5 no.). The hanging toys are not part of the package. The size of the mat is 80×80 cm.